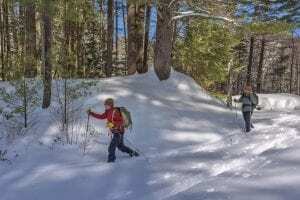 The Adirondack Land Trust said it paid $160,000 to the Brassel and Zack families and the Brassel estate for 250 acres on Moxham Mountain, between Minerva and North Creek. 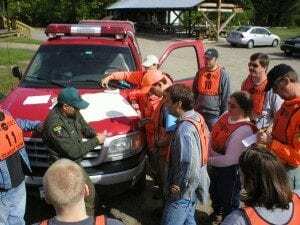 I was intrigued by the essay “The Case Against Search and Rescue,” by Robert Kruszyna, a New Hampshire resident. I later learned he is a physicist who has climbed mountains all over the world and helped write guidebooks to some of the Canadian ranges. Recreationists can trigger avalanches when there is deep snow on steep slopes. 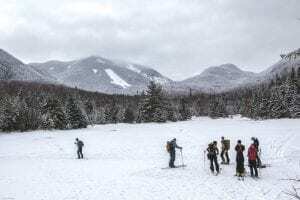 While much of the steep open slopes are in the High Peaks, avalanche-prone terrain is found on mountains throughout the Adirondacks, including Snowy Mountain in Hamilton County. The Dippikill Wilderness Retreat is the largest student-owned natural preserve in the country. It has belonged to the Student Association of the University at Albany since 1956, on a back road in the highlands of the Town of Thurman. All was not lost in recent thaws. 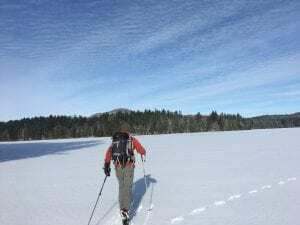 We went pond skiing in the St. Regis Canoe Area three days last week and found the conditions ideal: a few inches of fluffy snow over solid ice. 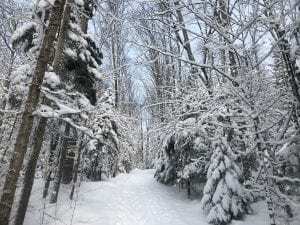 The carry trails between the ponds had just enough snow to ski. 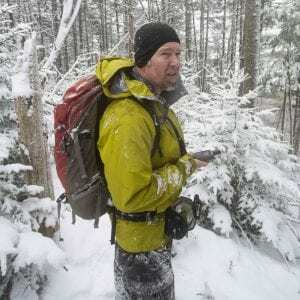 As we head into a new year, the Adirondack Explorer looks back at the most popular online stories of 2018. 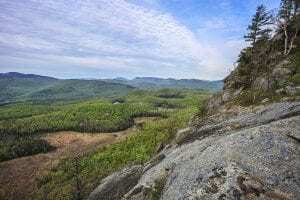 Hikers love a patch challenge and the Saranac 6ers is a favorite. The Explorer republished a 2013 story about the challenge and it became one of the most-read of the year. Hikers who climb all six peaks earn a patch and the right to ring the 6er bell at downtown Saranac Lake’s Berkeley Green. Read the story here. 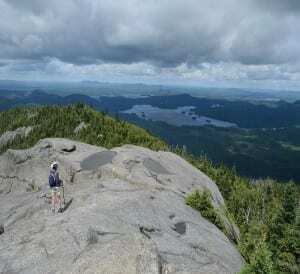 When climbing the Trap Dike, hikers can expect to see scenery of other summits in the high peaks including Iriquois, Algonquin, Wright, Marshall, and Santanonis. 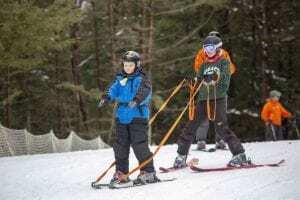 The Adaptive Winter Sports Program is one of many programs the Double H Ranch offers children with chronic illnesses or disabilities.